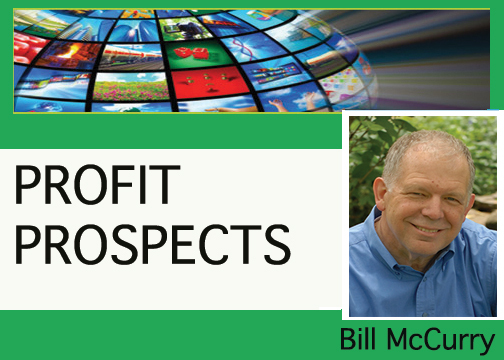 Home Bill McCurry Profit Prospects: NAB—Just Another Convention, or Is It More? Profit Prospects: NAB—Just Another Convention, or Is It More? Since the decline of PMA, our industry has been looking for a trade show or convention to embrace. Thought-leading retailers have been looking for a place where they can meet the decision makers from their key vendors. The more consumer/user focused shows (WPPI, PhotoPlus, Imaging USA, etc.) haven’t gathered key vendor personnel like CES or PMA did. 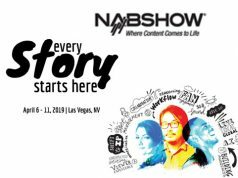 With the overflowing and overcharging of CES, the NAB Show seems to be the refuge for imaging. 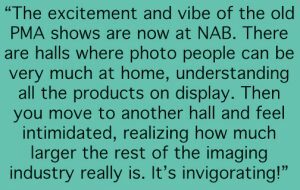 While crowding in with 100,000-plus people in Vegas hardly seems “relaxing,” NAB’s tempo appears less frenetic and more business focused. “NAB is on my list to attend next year. 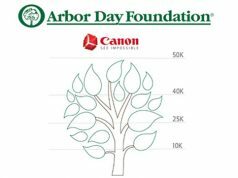 I’ll go to better my understanding of the overall industry and how Bergen County Camera (Westwood, New Jersey) can better serve our video customers. I don’t need to go for product purchasing. I have a crack team from PRO who will be there looking out for my interests with manufacturers,” commented Tom Gramegna. Beyond product acquisition, NAB offers education and professional development to bring retailers up to speed in video technologies as well as broader communication concepts. One of the overriding themes is the M.E.T. Effect (Media, Entertainment and Technology). How these factors will influence us in the future is what NAB is all about. 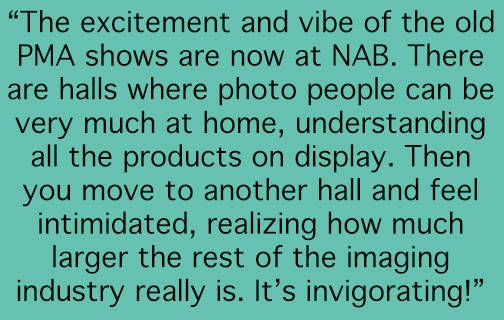 If you’re not sure how 360º, VR or AR will play out, walk the NAB trade show floor and listen. They’re all fighting to pitch you their solution to improving communication flow, whether for education, advertising or entertainment.